I forgot to show you the yarns I have in my stash to make the log cabin blanket. Some are leftover from projects and others are full skeins that I never ended up using. It annoys me to have all this yarn sitting around so I happy to have a project to put it all (or most of it) to good use. I couldn’t have planned this project better. 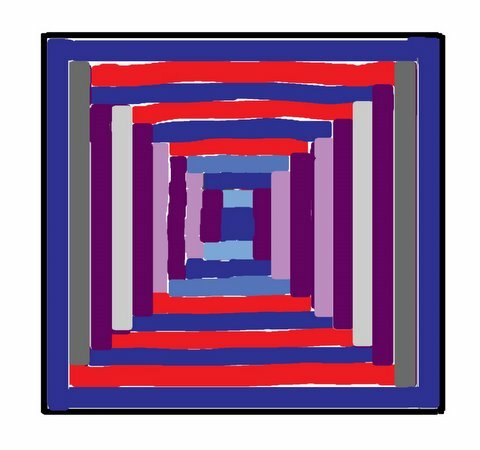 Blue, purple & red are my favorite colors! Several weeks ago, a woman came into the LYS with her Log Cabin blanket, looking for a color to match her final section and it caught my attention. I’d never considered making a Log Cabin Blanket but ever since seeing hers, I couldn’t stop thinking about it. 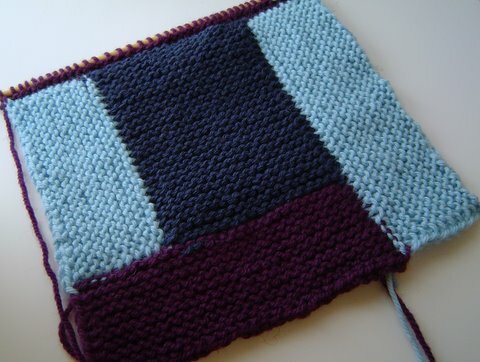 So yesterday, I took a peek at the Mason-Dixon Knitting book to get an idea on the construction and when I got home, found THIS PAGE at the January One blog and used both help me figure out how to make a log cabin garter stitch blanket. I gathered all the worsted weight, non superwash wool I had in my stash, most of it remnants from other projects. 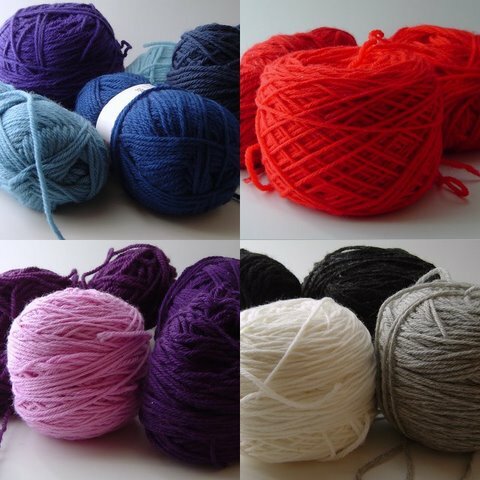 Despite different brands & dye lots, I had a lot of blues, purples & reds plus a small amount of white, gray & black. Of course it all depends on the yardage of the yarn I have, but it’s good to have a basic plan.